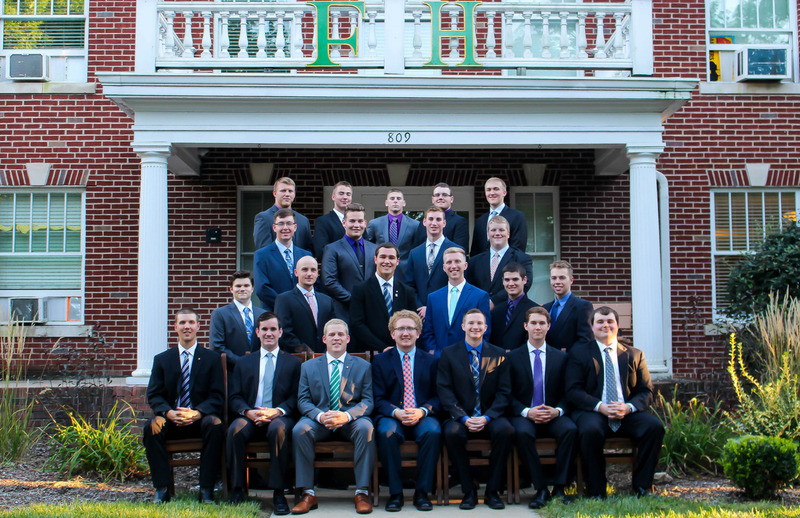 For over a century, FarmHouse Fraternity has stood out among the crowd of college Greek-Letter general fraternities. Our name has always set us apart – for it’s something our Founders and the 24,000 men who have since followed take great pride in. We believe the opportunities and advantages FarmHouse has to offer you, go well beyond “just being a place to live.” It is lifelong friendships; it is a continual self-betterment; it is a better way of living. What we offer is not just a place to live—we offer a home. We believe in preparing each other for the future. From leadership skills to spiritual development, we attempt to build each man into the best he can be. 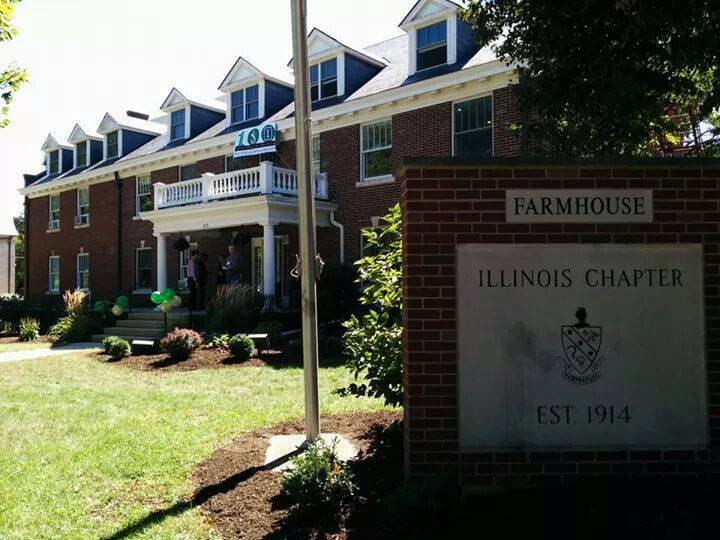 Thank you to everyone who came to help U of I FarmHouse celebrate 100 years on campus! Over 200 people were in attendance to celebrate the past century and look forward to the bright future at the University of Illinois! Alumni: Register with us today! "The object of our fraternity is to promote good fellowship, to encourage studiousness, and to inspire its members in seeking the best in their chosen lines of study as well as in life. Progress shall mark our every step; the spirit of congeniality shall reign at all times; and every member shall be honest with himself as with his brothers. Men elected to our membership are considered to be of good moral character, to be high in scholarship, to have the capacity for meeting and making friends, and to give promise of service to their fellowmen and to the world. To be and become such may at times require a sacrifice of time, pleasures and comforts." FarmHouse Wins Chapter of the Year at Greek Oscars! In today’s fast-paced world, FarmHouse remains steadfast to the ideals set forth by our Founders and strives to progress as a values-based fraternity. Each week this semester we will be highlighting the summer work experiences that FarmHouse men were involved in this past semester. 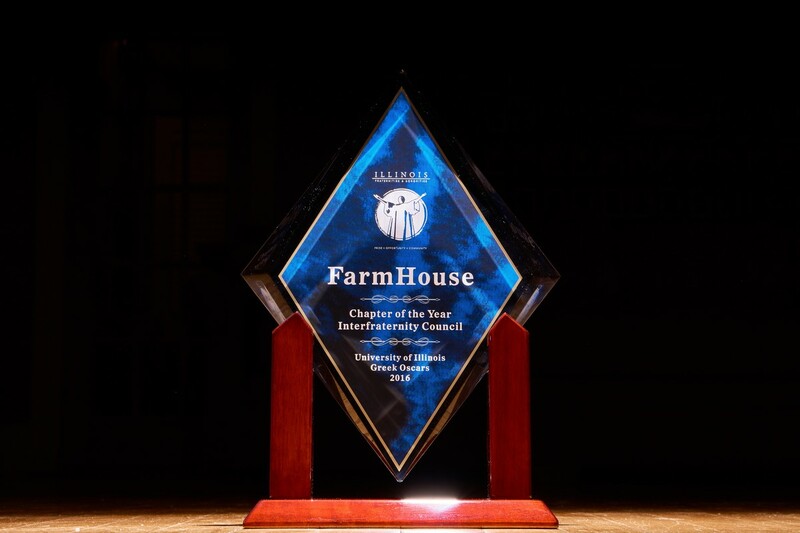 Click here to learn about all of the excellent networking opportunities that are a part of being a FarmHouse Man!